So.. I know its been a minute since I posted anything I am sorry about that. But I do have a new outfit for you. 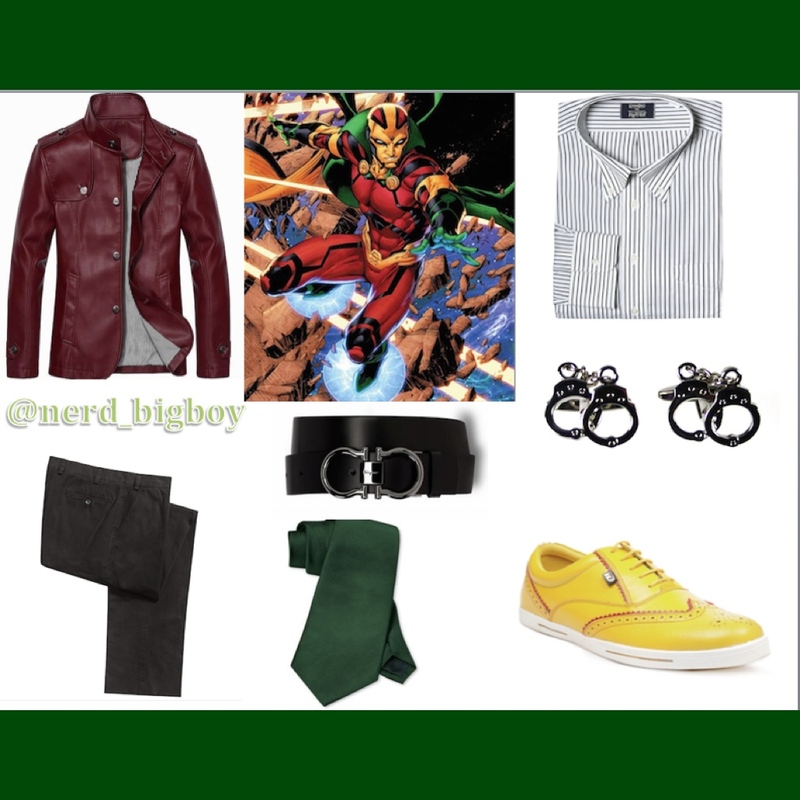 This outfit is based on the DC comic book character Mister Miracle (Scott Free). He is of course one of DC’s lesser known characters, but a extremely cool one. Mister Miracle was created by the Jack “The King” Kirby. In his fictional biography, Mister Miracle was the son of one of the High Fathers on New Genesis. As appeasement, the high father and the God of Apocalypse, Darksied, traded their first born sons. Scott was constantly tortured and abused while growing up on Apocalypse, he often was beaten, hazed and was made to endure horrible contraptions, never losing hope, Scott vowed to one day find a way to escape the planet. From that desire, his powers manifested itself. Scott Free had the ability to escaped any trap or dangerous situation he was put into. Armed with his new found ability, he made his journey out of captivity. While on the planet he fell in love with the general of Granny Goodness’s furies-Big Barda. I have always loved Mister Miracle because i enjoy the mystery of his character. It’s plain to see that Kirby drew his inspiration from magicians and escape artists, but unlike Zatanna Miracle never dealt with magic. It was never reveled why or how he was get out of tricky traps, therefore you just had to believe in the character’s ability to be just that good. Along with his relationship with Barda being so fun, his charm and gentleness gave him a unique quality. This is his casual wear. As you can see, the shirt has his last name on it. 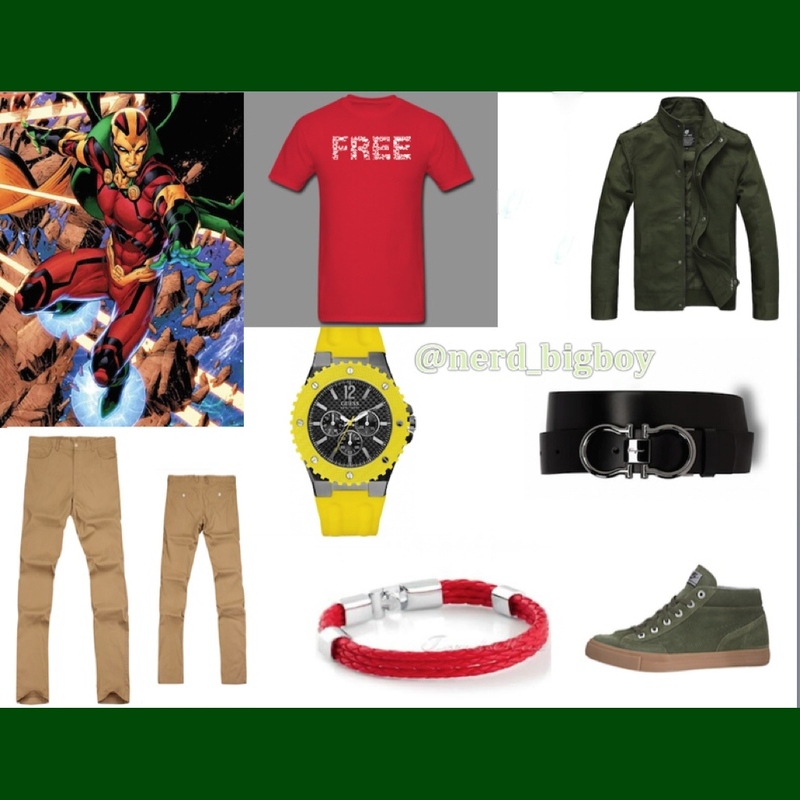 You will also notice that his belt are handcuffs. I want to make sure the outfits resemble the character and not look like a cos-play. Now with this outfit I had some trouble. I was concerned about making it look to Christmas like, I think i did it justice. As you can see the jacket is leather to reflect a straight jacket and i used handcuff cufflinks along with the belt from before. Previous postFirst teaser preview of Teenage Mutant Ninja Turtles!